Mortgage delinquency and foreclosure rates have reached 20-year lows, according to research firm CoreLogic. The foreclosure rate has now dropped below the average pre-crisis level of 0.6% as rising home values have driven homeowners' equity to record levels, according to CoreLogic's Loan Performance Insights report for January. 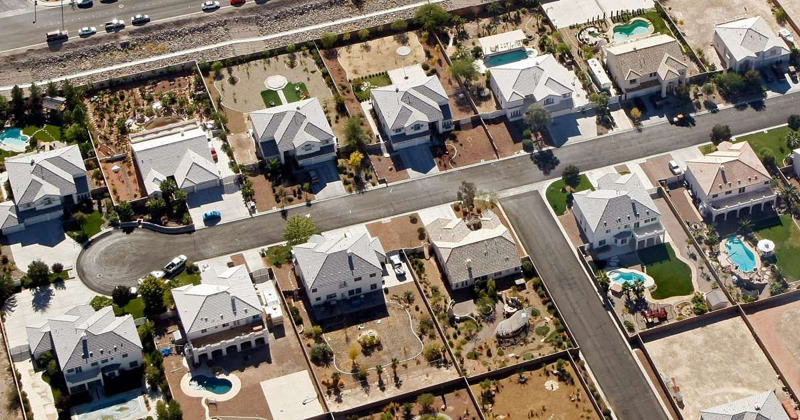 As equity rises, the risk of foreclosure falls. Early-stage delinquencies, defined as 30 to 59 days past due, declined year over year from 2.0% to 1.9% in January. The share of mortgages that were 60 to 89 days past due in January was 0.7%, down by 0.1 points compared with last year's rate. 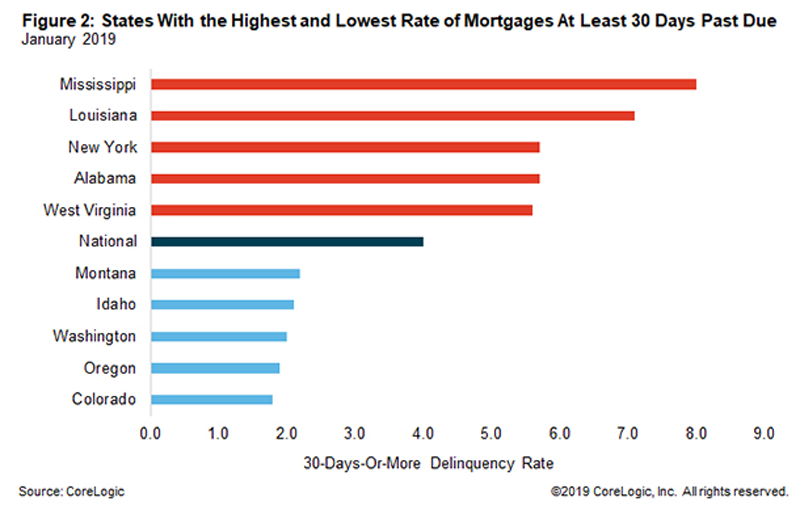 According to CoreLogic, measuring early-stage delinquency rates is important for analyzing the health of the mortgage market. The share of mortgages that transitioned from current to 30 days past due was 0.8% in January 2019, flat compared to the same month last year. This year's rate has moved significantly below the transition rate of 1.2% just before the housing crisis struck and well below the peak rate of 2.0% in November 2008. CoreLogic's chief economist, Dr. Frank Nothaft, said, "Income growth, home appreciation and sound underwriting combined have pushed delinquency rates to their lowest level in 20 years. The low delinquency rates on home mortgages are a contrast to the rising delinquency rates on consumer credit. While home mortgage delinquency rates are at, or are near, their lowest levels in two decades, delinquency rates for auto and student loans are higher now than they were during the early and mid-2000s." Frank Martell, president and CEO of CoreLogic, added, "As the economic expansion continues to create jobs and low mortgage rates support home buying this spring, delinquency rates are likely to trend lower during the coming year. The decline in delinquency rates has occurred in nearly all parts of the nation." Among the nation's largest cities, New York, Miami and Houston have the highest rates of mortgages at least 30 days past due at right around 5%. San Francisco and Denver have the lowest rates, both below 2%.